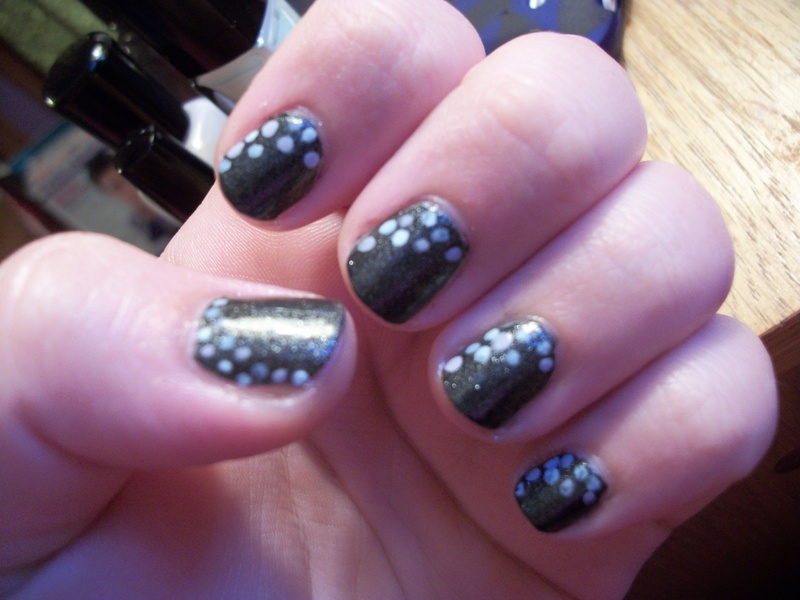 Day 11- Polka Dots | Nailed It! Now I’m getting into the designs and stuff! This is going to be so much fun! A closer look at my thumb- the finger that turned out the bestFor this look, I did two coats of China Glaze’s Stone Cold, and used Zoya’s Megan, Sally Girl’s Coconut, and Julep’s Susie. 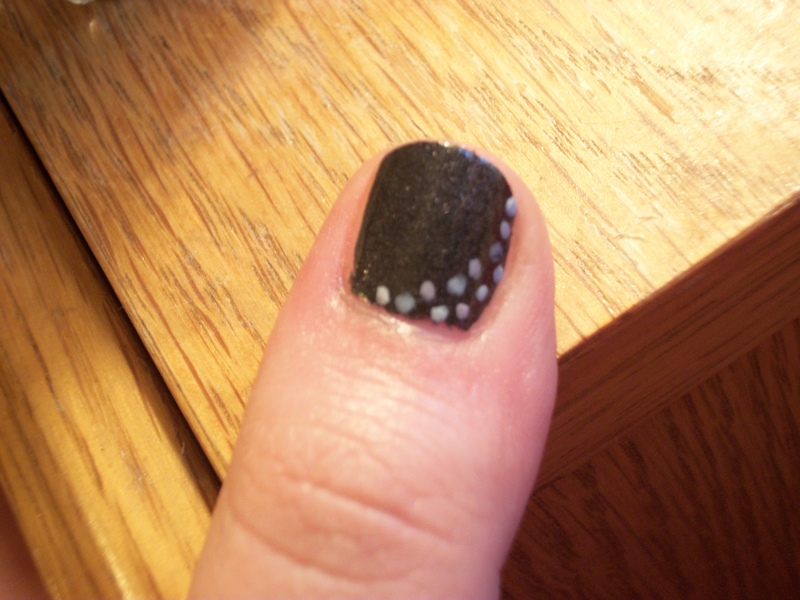 I used a small paint brush to do the dots, and only used one coat, unless it looked like it needed more. I really liked this look, but my right hand looks so bad (I’m a righty). I think for the harder challenges, I’ll just do my left hand, and paint my right hand like the same colors, but with no complex designs. I liked all of the polishes, and I made sure to use ones that I knew would be opaque in one coat. I didn’t want to have to go back and mess around with doing them again and screwing them up. Do you like “doticures”? I’m coming up with all my own names lately! 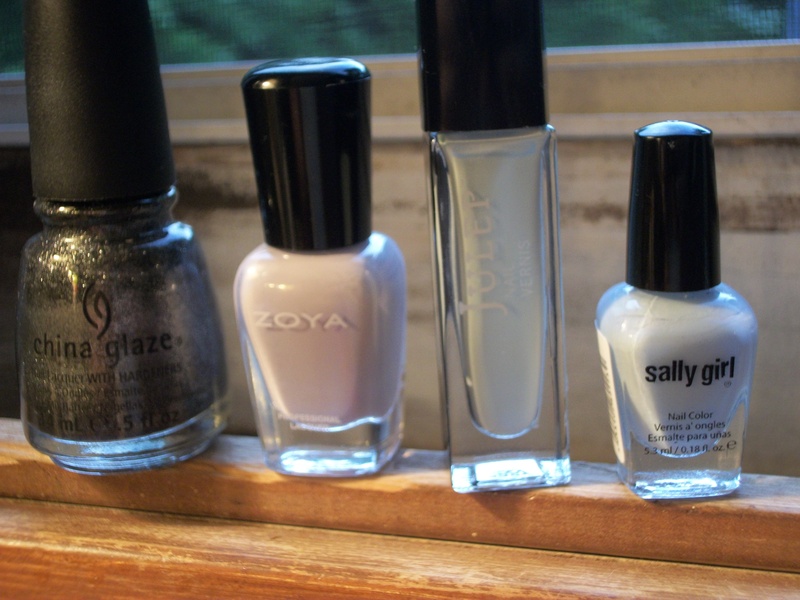 This entry was posted in Uncategorized and tagged 31 Day Challenge, China Glaze, Coconut, Julep, Megan, nail polish, NPOD, Polka Dots, Sally Girl, Stone Cold, Susie, Zoya. Bookmark the permalink.